OMG Lucas is SO AWESOMELY ADORABLE. So I started working on a Pinterest project to make pencil boxes. Lucas wanted to make a project of his own. He got paper and told me he was making the design for his project. Then he showed me a rectangle on the piece of paper and asked for a box that size. We worked together taping white paper around the snack box and he even said “sorry for taking your time from your project to help me with my project.” I told him I didn’t mind because that was what mommies do. He then asked me about my favorite things and also drew a picture of our family. Then when he was done he surprised me by saying he made the box for all our DVDs that are all over our mantle to clean them up and be organized. I was thrilled because not only did he make something for me, he did it pretty much entirely on his own, his own ideas on how to do it, and even had a purpose in mind for it that legit helped me organize something. Arianna of course wanted in on the action as well. 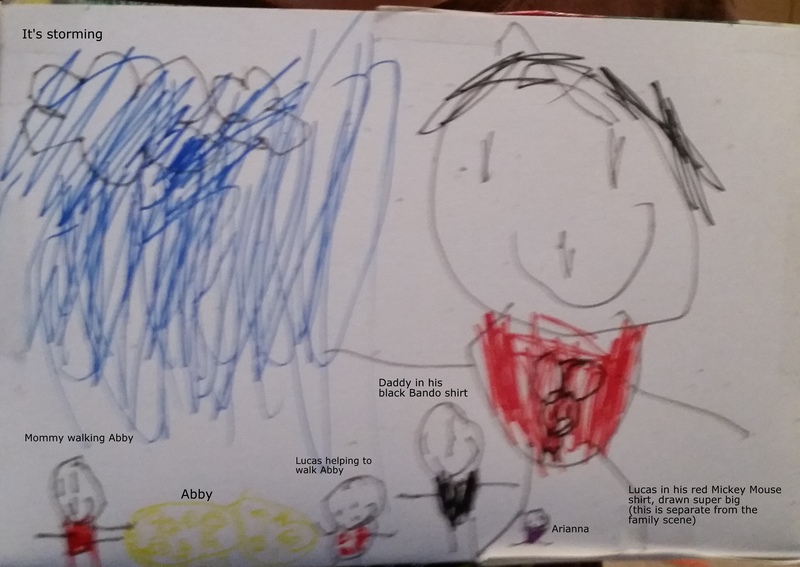 Here is the box she decorated.